Physiolab have shown their support for FMA Members by joining as Business Club Member for the 2017/2018 season. The FMA are looking forward to working with them throughout the season. PHYSIOLAB ® provides a single solution for cooling, warming and compression. Most methods using cold, compression and heat cannot be measured accurately, if at all. The result: the applied therapy may be of limited benefit or even detrimental. This eliminates this ‘no control’ approach, which is so common with many soft tissue therapies, as well the associated risks. By using cooling, heating and compression combined or separately, PHYSIOLAB® delivers a precise, targeted, repeatable and clinically effective treatment which genuinely maximises the body’s ability to recover. This level of precision and repeatability has simply never been possible before. The application of pressure, warming and cooling is commonly used but never with any real precision. We must understand what is required and when. We need to ensure enough energy (cooling, warming, compression) is provided to deliver the best outcomes but not too much, which could potentially slow down performance or even cause damage. All professionals using PHYSIOLAB® C1 have the ability to record and anonymously share their users’ treatment data. Hundreds of thousands of treatments from all over the world are pooled, segmented and analysed. The results are then disseminated back to the contributing clinicians. This resource has enormous potential to drive the future of soft tissue repair and recovery therapy in a way that has never been possible, until now. 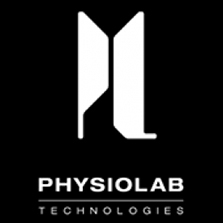 PHYSIOLAB ® is a toolkit for delivering thermal energy and compression to the body with maximum efficiency. Control – All the variables are intelligently controlled with precision and accuracy to respond to the body’s requirements. We sense and control to 1°C and +/- 10 mmHg every second. Contrast – Contrast therapies are intelligently controlled with precision and accuracy to respond to the body’s requirements. With this level of control we can deliver temperatures to the body between 6°C and 40°c, either intermittently or continuously over a period of 30 minutes. Compression – Our patented Therapy Packs provide true clinical compression with unrivalled conformability across the entire treatment area. The multi layered design ensures pressure can be actively adjusted every second, either continuously or intermittently within a range of 25 to 75 mmHg. This is independently controlled and ensures thermal delivery is not impacted during therapy. Consistent – We can provide temperature, compression and fit consistently and accurately time after time.